Our chiropractors offer an evidence-based, patient-centered approach and use a wide range of techniques, including: adjustments (SMT), drop piece adjustments, Active Release Techniques (A.R.T. ), Activator Method, Webster Technique for prenatal care, infant and child care, and rehabilitation exercises. We also accept ICBC and WCB claims. Dr. Sarah Brise grew up in Prince George, British Columbia. She completed her Bachelor of Science in Kinesiology at the University of Victoria. While at UVic Sarah played on the varsity volleyball team and was twice awarded CIS Academic All-Canadian. Sarah then attended Canadian Memorial Chiropractic College in Toronto earning her Doctor of Chiropractic Degree in 2008. She is also a certified Active Release Techniques (A.R.T. ® ) provider and NSCA Certified Strength and Conditioning Specialist. Sarah has also completed her certification in Functional Movement Systems: Selective Functional Movement Assessment (SFMA). Sarah believes in a holistic, patient-centered approach to health care, encouraging patients to take an active role in their health. As a chiropractor and kinesiologist, Sarah uses her fitness and rehab experience to design custom exercise and stretching programs for her patients, as well as using A.R.T. to treat muscle and ligament injuries, and chiropractic adjustments to encourage optimal joint function. She strives to provide quality health care to all patients, ranging from treatment of infants and toddlers to chiropractic care during pregnancy, treatment of athletic injuries, workplace injuries, and relief from everyday aches and pains. Dr. Brise loves living in Kamloops, where the possibilities are endless for exploring the outdoors and pursuing an active lifestyle. Sarah has a wealth of experience in elite and recreational sports, including volleyball, soccer, downhill and cross-country skiing, marathon running, and triathlon. Her athletic endeavors have included an 1800-mile cycling trip down the west coast and completing the Penticton Ironman triathlon in 2010. Dr. Laura McCall was born and raised in Kamloops, BC. After high school Laura attended TRU (UCC) and attained a Bachelor of Science degree. She worked summers with the TRU children’s science program, Eureka. During this time Laura had her first Chiropractic treatment and received guidance and encouragement to pursue Chiropractics professionally. This took Laura to Toronto for four years where she completed her chiropractic education while also being a part time nanny to 3 children. 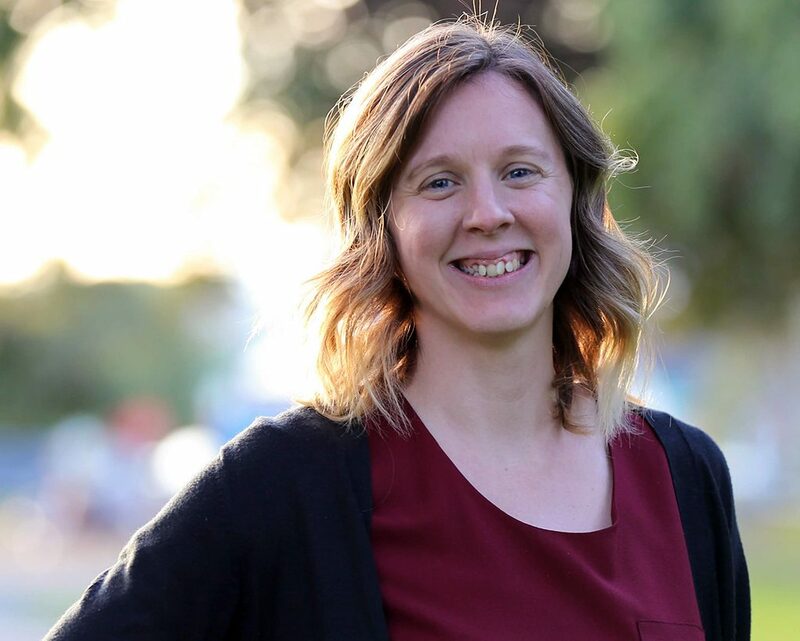 Having always been a Kamloopsian at heart, Laura quickly returned to Kamloops and started her practice at Aberdeen Chiropractic Clinic where she practiced for 6 years. Wanting to give back to the community that has always supported her, Dr. McCall joined the Boogie the Bridge committee where she has been volunteering for the past 6 years. She is past President of the newly formed Boogie the Bridge non-profit society, which funds local charities for low income families. Laura’s love of children has also led her to sit on the planning committee for the Power of Being a Girl annual YMCA conference, as well as her volunteer work with the local schools. In keeping with healthy living, Dr McCall has personally maintained an active lifestyle through Run Club, Power Yoga, Pilates and hiking. She ran her first half marathon in Banff in September 2010. Dr. McCall believes in a caring, active approach to patient care. By combining health education and chiropractic techniques with at home stretches and exercise programs, patients can take an active role in their own health and well being. Laura also utilizes many other health professionals in the treatment plans for her patients. To provide comprehensive, individualized, well rounded care, Dr McCall has developed professional relationships with various local practitioners to ensure that all aspects of her patients’ health are addressed and respected. Dr. Emily Middleton grew up in Iola, Kansas. After high school she attended Pittsburg State University where she earned her Bachelor of Science degree while also participating in track and field. In 2014 she obtained her Doctor of Chiropractic Degree from University of Western States in Portland, Oregon. 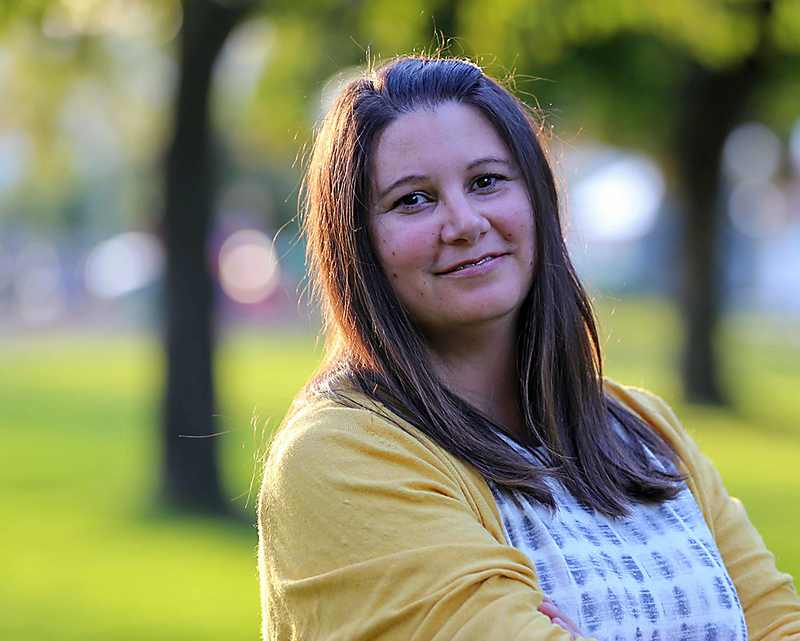 Emily believes in a course of treatment that involves hands-on care as well as patient education and the patient taking an active role in their recovery. She combines Diversified chiropractic technique, instrument assisted soft tissue massage, as well as at home exercises and stretches tailored to each person’s individual needs to aide in improving quality of life. Dr. Middleton spends much of her free time playing recreational volleyball and hiking local Kamloops trails. 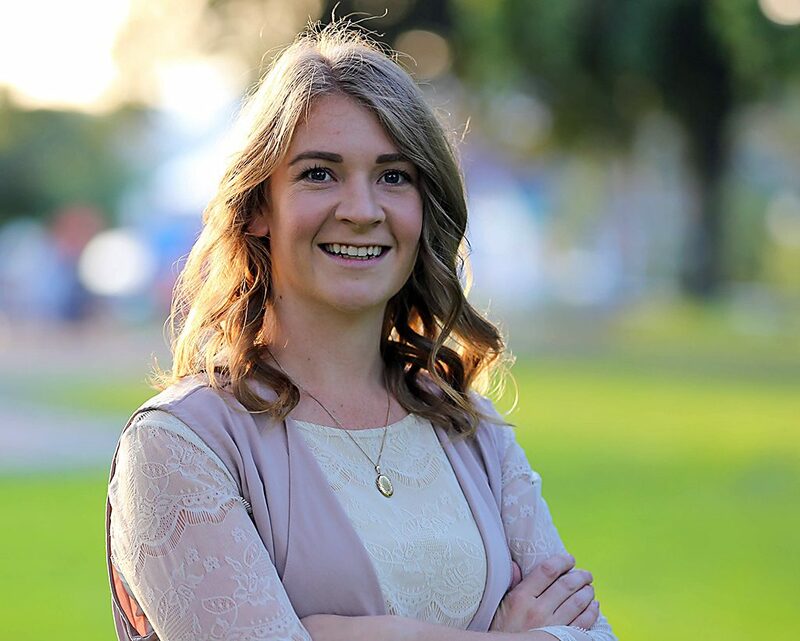 She looks forward to bringing a little bit of her own motivation and expertise to help residents of Kamloops live a healthy and active lifestyle. Lindsey is a newly registered Physiotherapist, with a background in Registered Massage Therapy. She’s from northern British Columbia and went to CMTBC to become a Registered Massage Therapist. 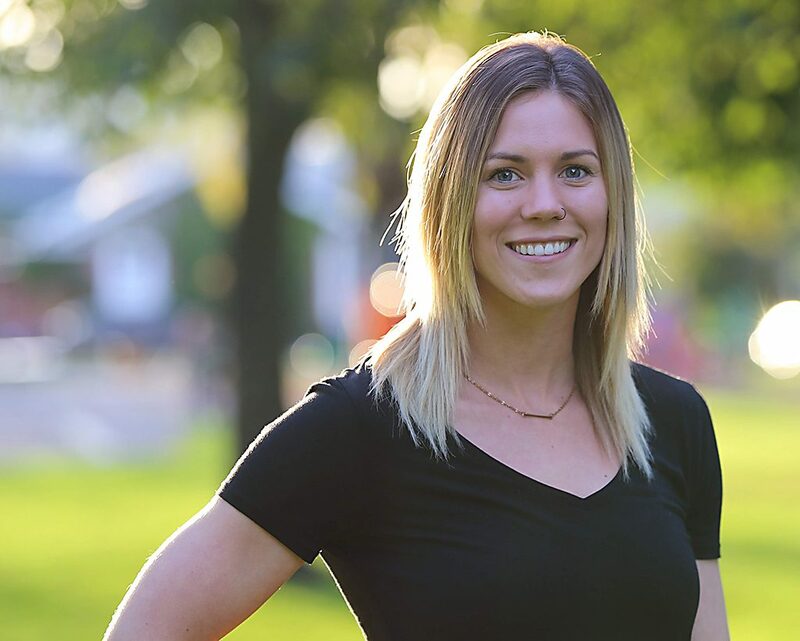 Lindsey began practicing at Kamloops Active Health in 2013, went on to get her Health Science degree, and then lived in Ireland for two years to complete her MSc in Physiotherapy. After being trained in two cooperative health care professions, Lindsey feels confident in her ability to assess and intervene appropriately to best provide care for her clients. Some of the conditions Lindsey has experience treating are joint replacement/repairs, frozen shoulder, neck pain, nerve pain, shoulder dislocations/instabilities, sciatic pain, sports injuries, pregnancy-related discomfort, chronic headaches, nerve impingement, whiplash, knee pain and instability, osteoarthritis, rotator cuff pain, and chronic low back pain. Among other things, Lindsey is also able to design fitness programs for people looking to add exercise into their lifestyle. Completing her Pre and Postnatal Fitness Specialist course has helped her expand her program designing to include pregnant women, so they can remain safely active throughout their pregnancy. Both Physiotherapy and Massage Therapy have appropriate applications within health care, and Lindsey feels fortunate that she is able to provide both. Physiotherapy restores and maintains a patient’s mobility, function and well-being. A thorough assessment of her patient’s symptoms allows Lindsey to make accurate diagnoses of her patient’s conditions. Through a client-direct approach, Lindsey designs treatment plans that effectively restores optimal function, while minimizing or eliminating pain. These treatment plans may include supervised strengthening, balance training, postural re-education, stretches, dry needling (intramuscular stimulation), massage, and a home exercise program. Massage Therapy is an excellent resource for correcting tight muscles through direct pressure, as well as improving circulation to the area to help bring nutrients to muscles that are tired and sore. Lindsey tends to use a more firm pressure when working with clients to release trigger points and alleviate tension. She also employs myofascial release, joint mobilisation and neuromuscular therapy to achieve her client’s goals. Lindsey was very grateful to be welcomed back to KAH and is excited to be able to continue building on her ability to assist people in reaching their healthcare goals. She suggests new clients book an initial Physiotherapy appointment, as it gives her the best opportunity to use all of her available skills to help you achieve your goals. Lindsey is dual registered as a Physiotherapist and Registered Massage Therapist, and is currently taking new clients. Registered Massage Therapists (RMTs) are educated and trained to accurately assess and treat with techniques that include massage and manual therapy, joint mobilization, hydrotherapy, and rehabilitative exercise such as stretching, strengthening, postural exercise and patient education. Massage Therapy is an effective approach to pain management and rehabilitation. RMTs are effective in treating and/or providing relief for a wide range of conditions such as migraine headaches, tendonitis, arthritis, osteoporosis, fibromyalgia, sports injuries, as well as many other common conditions related to soft tissue and joint dysfunction. Jason was born in Kamloops B.C. He was raised on Morrison Ranches in Knutsford for the majority of his childhood. In 1989 the Morrisons sold their ranch in which Jason was the 4th generation and ventured into the outskirts of the city for the remainder of his childhood. In his teens Jason showed an interest in massage therapy. Having a family member with chronic headaches and back pain, Jason would massage their neck and back to relieve their pain. The feeling and sense of reward in helping others is what brought Jason to massage therapy at a young age. In order to put himself through school, he had many different jobs from landscaping to rock scaling, but always with his mind on massage therapy. Along with massage, health and wellness has always been an important part of his life. Weight training and cardiovascular training have helped him to continue full time practice as a massage therapist for over 8 years. Jason graduated from the Okanagan Valley College of Massage Therapy in 2004. During this time he had the opportunity to work on university athletes, the Vancouver Canucks, and has since continued working with athletes from Thompson Rivers University and Olympics athletes as well. Jason’s most outstanding accomplishment has been his marriage to his beautiful wife Stephanie, and his two adorable and wonderful daughters. As a devoted father he enjoys spending the majority of his time with his family, engaging in various outdoor activities at their rustic cabin outside of Kamloops. 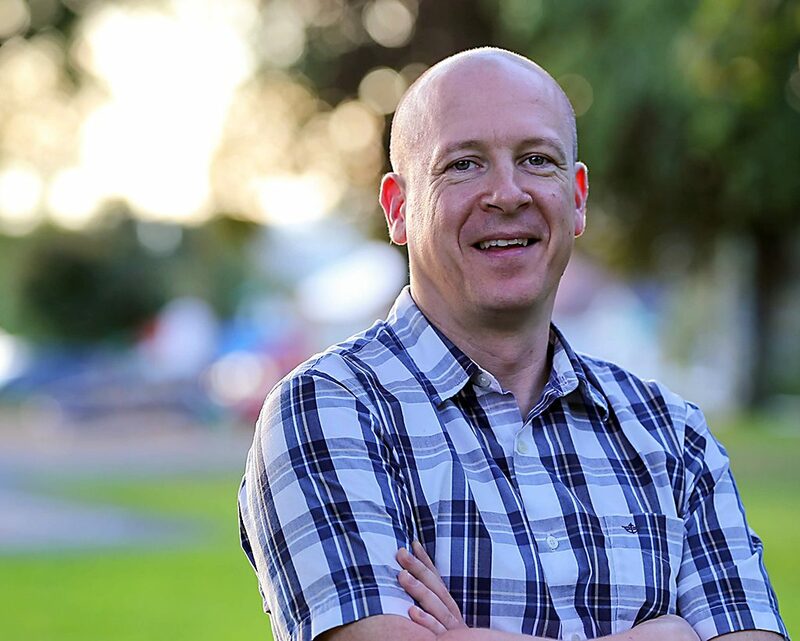 Jason’s approach is one based on complete assessments, treatment plans and follow-up homecare such as strengthening and stretching programs based on the patient’s needs. The ability to get to the root of his patient’s problem, not just treating symptoms, is extremely important. 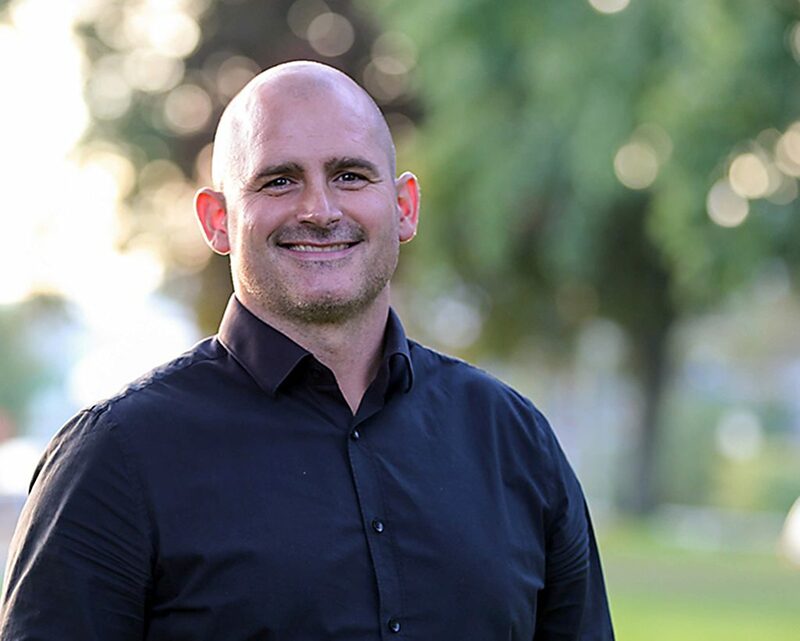 In joining the team at Kamloops Active Health, he hopes to contribute to what is an already stellar reputation both in quality of treatments and friendly, comfortable atmosphere. James grew up in Terrace, British Columbia, where he enjoyed the Northern BC landscape, rock climbing, snowboarding/ski touring, hiking & mountain biking. From Terrace he moved to Vernon, BC where he attended the Okanagan Valley College of Massage Therapy, and graduated from the 3-year program June 2007. He practiced first in the Vernon area, and in 2008 moved to the beautiful Kamloops area with his family where they are enjoying everything Kamloops has to offer. James believes in giving his patients the best quality of care using research, continuing education and skill development. This ensures each and every patient receives personalized treatments to meet their healthcare needs. James also considers collaboration with other healthcare providers, patient education and a patients’ involvement in their own recovery to be very important parts of treatment protocols. Some of the techniques James uses in his practice are: Myofascial Release, deep tissue massage, Swedish Massage, active/passive stretching, trigger point release, active/passive musculoskeletal release, joint mobilizations, and corrective taping. James serves on various committees for the College of Massage Therapists of British Columbia (CMTBC). He served as vice president during 2009, and was the president of the organization from 2010 to 2013. The CMTBC is the regulatory body for BC RMT’s, and it acts on behalf of all British Columbians to ensure registered massage therapists always deliver safe and effective treatments. James is happy to be working with a wonderful group of professionals at Kamloops Active Health and looks forward to continuing to explore the Kamloops area and all its outdoor adventures with his wife and two sons. He strives to consistently provide high quality healthcare for the citizens of Kamloops. See you out there! Tania was born and raised in Montreal. It was while she was visiting Whistler that she immediately felt at home in British Columbia. She spent three years enjoying this massive playground as an avid snowboarder and rock climber. It was then and there that she was first exposed the amazing benefits of therapeutic massage through personal injuries. Tania studied at the Okanagan Valley College of Massage Therapy and since successful completion of the program & registration in October 2005, she has been working abroad. t is her passion for well-being and healthy living that has been the driving force behind her personal journey of travel, life, and work. Tania managed her own clientele for the past five years in the south of France mostly within the yachting industry. Recently, she has gravitated back towards the area and experienced the last two winters working for Mike Wiegele Helicopter Skiing as a massage therapist. She applies her knowledge and experience to customize all her treatments to meet the needs of each individual. Tania practices systemic deep tissue massage techniques to release any restrictions within the tissues. To compliment deep tissue work, she intersperses passive range of motion and stretching which she developed from Thai Massage training. Other skilled techniques of hers are myofascial and trigger point therapy. She also incorporates diaphragmatic breath work to facilitate the healing process and relaxation. She always explains and educates accordingly and again each treatment is tailored to meet individual needs. 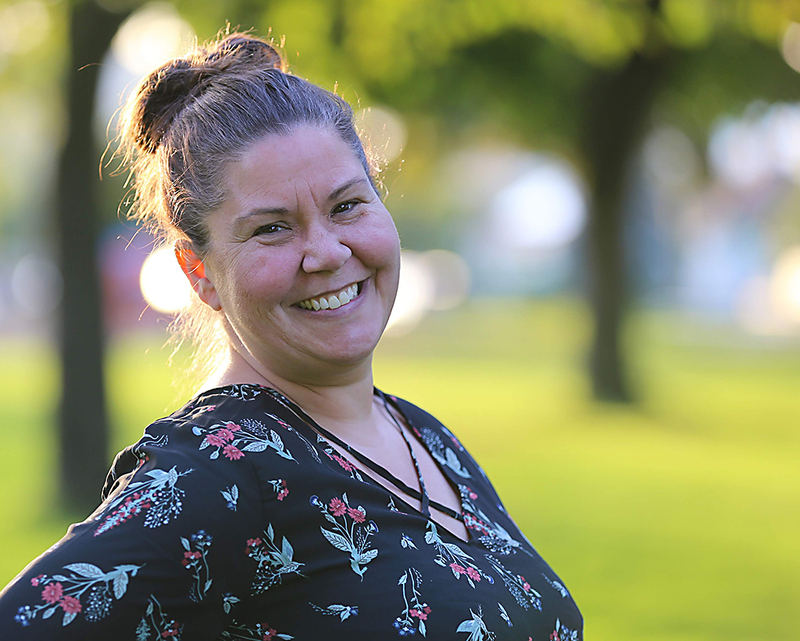 Tania is excited to be joining the team at Kamloops Active Health and to start exploring the area for its outdoor possibilities. Also look for out for her as she begins teaching yoga in the community. Coral is originally from Metchosin, a rural area west of Victoria BC where she grew up in a large family. She graduated from the West Coast College of Massage Therapy, Victoria, in 2009, completing the 3000 hour course. Before joining Kamloops Active Health in February 2017, Coral lived and worked in Lillooet BC and Whitehorse YT. Recently, she hiked for six consecutive months, completing a ten-year dream: the 2,200 mile Appalachian Trail in the eastern United States (where she met her husband). Eager for regular exercise and a firm believer that the human body is made to move, she explores/hikes/runs the Greater Kamloops area every chance possible. 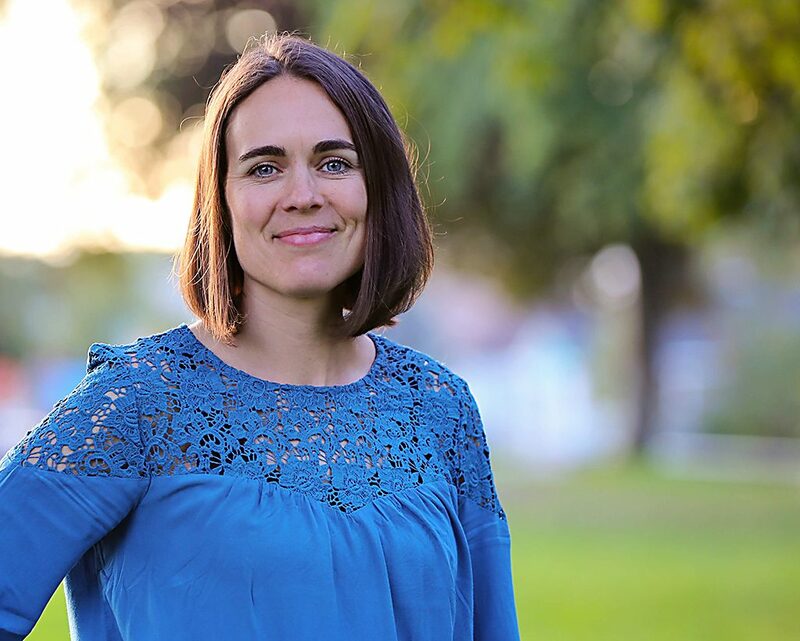 Drawing from her fascination with the human body and on-going continuing education courses, Coral offers compassionate, informed massage therapy and looks for the root cause of your symptoms. Examples of root causes are chronic injuries, repetitive use, poor posture, primary medical conditions and structural differences. Her assessment includes specific testing when necessary to better understand your symptoms, and her treatment approach involves gradually working deeper into the soft tissues while encouraging your relaxation. Coral’s foundation modalities are Myofascial Release (fascial stretching), muscle stripping, Trigger Point Release, joint play/mobilizations and Muscle Energy Technique (spinal realignment). Home-care suggestions that incorporate stretching, strengthening, and activities you enjoy will be discussed. Dialogue with your primary health practitioner, as well as referral to other health professionals for complementary treatment is occasionally indicated. Some areas of extra interest are shoulder pathologies, low back pain and nerve impingement, scoliosis, pre/post-natal, runner’s symptoms, tension headaches and migraines, pelvic health, postural symptoms and musician-related strains. Please be aware that improvement to your symptoms can take at least 2-4 massage therapy sessions in close succession. If appropriate, Coral will discuss a treatment plan with you. Rescheduling is an important factor in achieving the recovery you want. Coral is “trauma-informed” and incorporates a safe atmosphere into her massage treatments. She feels passionate about giving you the care you need that is within her scope of practice. Welcome! Growing up just outside of Kamloops Thea realized the importance of sports rehab at a very young age when it came to her family’s horses. She became familiar with the competitive edge that could be achieved by keeping these powerful animals in top condition through regular massage and other therapies. It was that knowledge that made her pursue a career in massage therapy. She believes that people are similar and with regular maintenance we can all achieve a higher state of well-being. Whether it be decreasing pain during your daily life or helping you maintain or achieve an edge in your sport by increasing range of motion and mobility. Thea graduated from the Okanagan Valley College of Massage Therapy in 2014 and successfully passed the CMTBC exam shortly after. 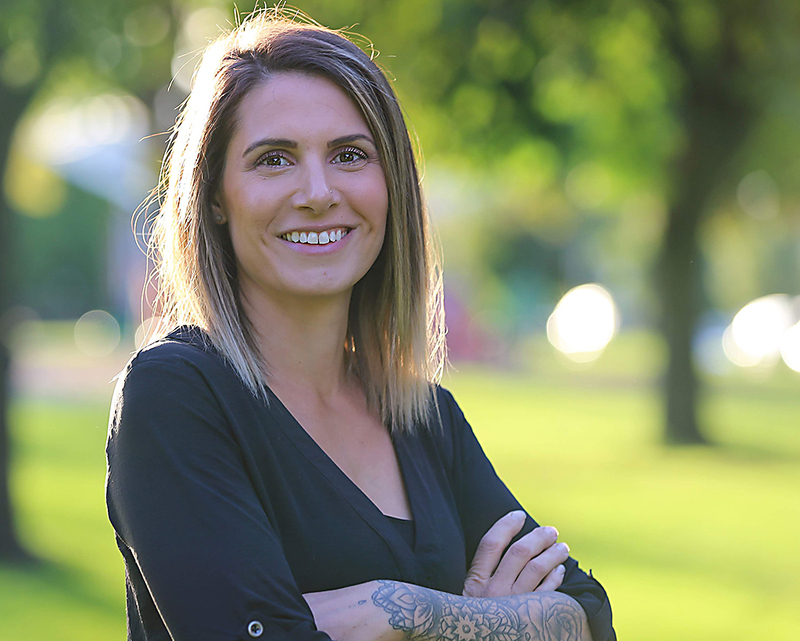 She has been working as a massage therapist ever since, practicing alongside physiotherapists, chiropractors and physicians while always seeking to further her understanding of the human body and its functionality. Thea pulls from a wide range of techniques believing that the body needs to be treated as a whole in order to see long lasting results. Some of these techniques include: myofascial release, trigger point therapy, joint mobilization, deep tissue massage, passive and active stretching as well as general relaxation techniques. 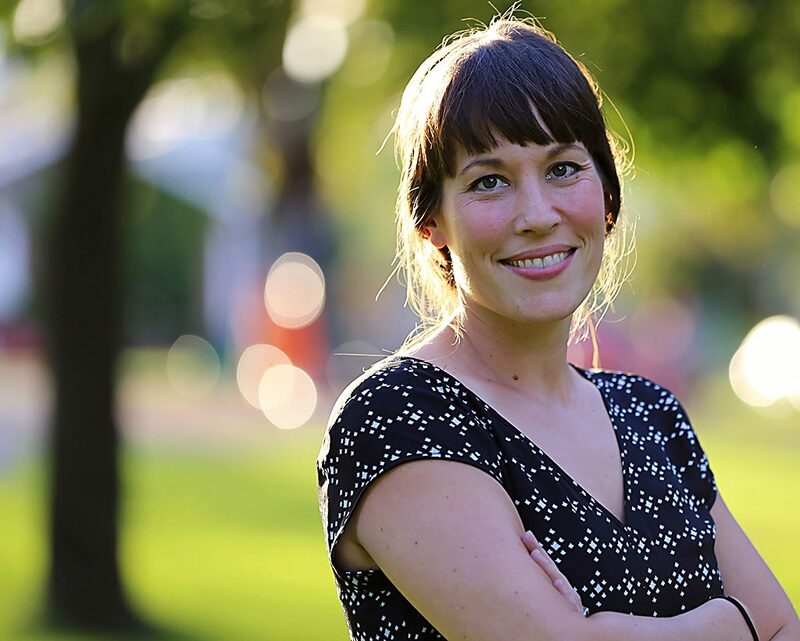 Thea has a specific interest in furthering her education in craniosacral and visceral manipulation within the next year to expand her current skill set. Aside from enjoying the outdoors in Kamloops, Thea began travelling abroad in 2016 and enjoys reaching the far corners of the globe and has made a point of experiencing massage in these places to compare and adopt beneficial techniques. Sarah grew up in Kamloops doing competitive gymnastics and spent a year in Denmark training. Living an active lifestyle has lead her to pursue a career in Massage Therapy through personal injuries and rehab. As a recent graduate from OVCMT and successful completion of her provincial board exams she’s excited to start her career here at Kamloops Active Health. She uses multiple modalities including Swedish massage, deep tissue, myofascial and trigger point release, joint mobilization and incorporating active/passive stretching. Sarah is excited to continue education in visceral manipulation and Neuro Kinetic therapy. She is looking forward to working with you, reaching and maintaining your health goals to maximize your full potential.